At one time we lived next to an earthquake fault. It ran through a golf course just over our back fence. Of course, we lived there for several years before learning of its existence. A big quake came long after we had moved away. Different parts of the country have different hazards, whether it is tornados, hurricanes, or earthquakes. And usually the ones you fear most are those that occur in someone else’s backyard. Those nearby are the ones you understand, and I suppose that leads to a kind of acceptance. Living in the West we have become accustomed to an occasional shaking. But the West doesn’t have all the excitement. 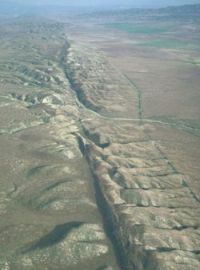 Although the four largest earthquakes in the last several hundred years all occurred in Alaska, number five was the New Madrid, Missouri, quake in 1811. It wasn’t the strongest, but it was felt over the widest area. For some reason, the geology in the eastern United States allows shock waves to spread over a greater distance. A recent study by the Nevada Seismological Laboratory at the University of Nevada listed the various states in order of their average seismic activity. Not surprisingly the top contenders were Alaska, California, Nevada, and Hawaii. Want to get away from earthquakes? They can occur anywhere, but the two states that seem to have the fewest are Florida and North Dakota. However I’ve heard some interesting stories about hurricanes and tornados.